SodaStream has launched a sampling campaign to demonstrate its range of flavours to consumers, following PR and experiential activity targeting category giant Coca-Cola. The ‘SodaStream Summer Taste Tour’ focuses on sampling activity across six major UK shopping centres, starting last Friday (6 July) with Westfield Shepherds Bush, London. 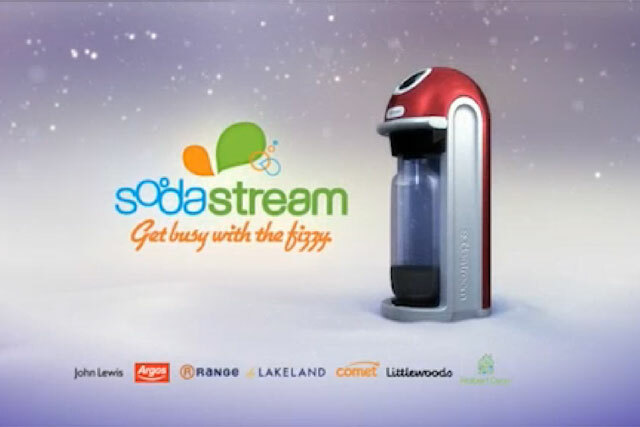 It aims to show consumers the range of SodaStream flavours and how the SodaStream machine lets people personalise the flavour of their soft drink. It is supported by a money-back guarantee and the campaign runs under the messaging, "Get busy with the fizzy". The push follows the brand's recent international activity, positioning itself as a more environmentally friendly option than consuming soft drinks from plastic bottles and cans. Last week it set up a "cage" in Piccadilly Circus filled with plastic bottles and cans it had retrieved from the street. The cage bore the sign, "1 family 5 years 7,050 bottles" to highlight how many bottles a family consumes. SodaStream clashed with Coca-Cola over the tactic when it installed a similar cage at an airport in South Africa last month. It received a "cease and desist" letter from Coca-Cola as Coke bottles had been picked up from the streets as part of the litter collection and used within the installation. SodaStream declined to stop its activity or remove the bottles, claiming plastic bottles that had been thrown away no longer belonged to the soft-drinks giant. It said its upcoming cage activity would not be stopped, and installed one outside Coke's Atlanta headquarters in the US before the Piccadilly Circus example. Daniel Birnbaum, chief executive, SodaStream, said: "This legal action is laughable and we plan to fight it every step of the way. If Coca-Cola wants to claim ownership over their rubbish, then they should be forced to clean it up, everywhere. If this is their rubbish, then it's their responsibility." A spokesperson for Coca-Cola said in a statement: "We are aware of SodaStream's campaign. The fact is that Coca-Cola is committed to increasing the recovery and recycling of our packaging around the globe. "In the UK, we are transforming the recycling of plastic bottles through a joint venture between Coca-Cola Enterprises and ECO Plastics in Continuum Recycling - now Europe's largest plastic reprocessing facility – to more than double the UK's capacity for recycling and reprocessing plastic bottles to food grade standard. "As an example of how this facility will help us recycle and reuse our plastic material, we have committed to recycling all the plastic bottles at the London 2012 Olympic Games to make them into new bottles within six weeks of the Closing Ceremony".